Saturn’s largest moon, Titan, hosts liquid hydrocarbon lakes and seas on its surface. During the last close encounter with Titan, the Cassini mission offered an unprecedented view of these methane lakes. Writing in two separate papers, researchers report that some of these lakes are more than 100 metres deep and have been fed by methane rainfall over thousands of years. Others are millimetres deep and only last for one season. 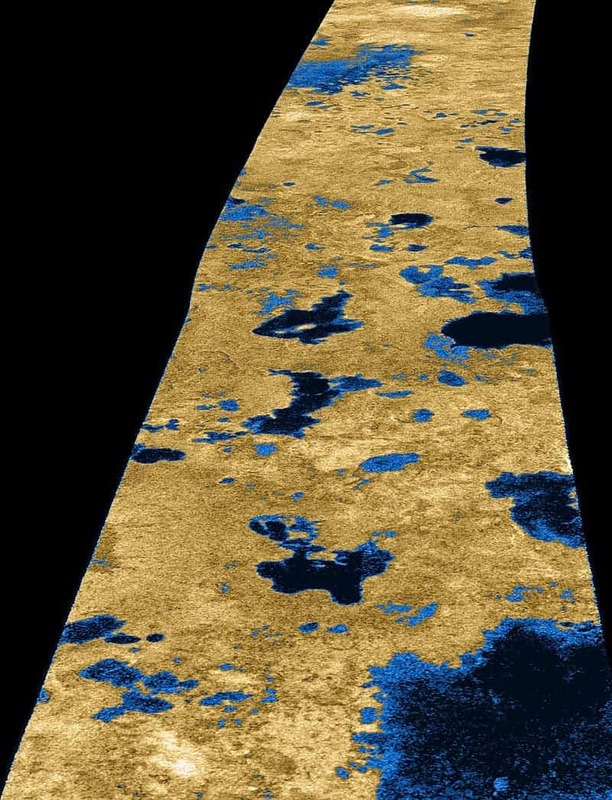 Methane lakes are clearly visible in this radar image of Titan’s surface. Image credits: Cassini / NASA. Aside from Earth, Titan is the only object in our solar system with clear evidence of stable surface liquid on its surface. But unlike Earth, this liquid isn’t water, but something very different: hydrocarbons such as methane. Due to the low temperatures that average –180 °C during the day, these hydrocarbons are stable on the surface. However, despite the obvious differences, there are also surprising similarities between Titan and Earth. Similar to the water cycle on Earth, Titan also has a full methane ‘hydrological cycle’ connecting the atmosphere, the surface, and the subsurface. Researchers analyzed data obtained during Cassini’s last flyby of Titan, applying super-resolution algorithms to radar data acquired over some of Titan’s wet areas. Using these algorithms, they were able to improve not only the resolution but also the bathymetric detection capabilities. With this, they were able to say that some lakes are at least 105 meters deep (344 feet). The authors suggest that these lakes have been around for thousands of years, created by methane rain dissolving soluble surface rocks. They also report that methane drains into the ground at a slower pace than the methane precipitation falling down, which favours the accumulation of surface fluid. Bathymetric profile for some of Titan’s lakes. Image credits: Mastrogiuseppe et al / Nature. Meanwhile, in another study at the other end of the spectrum, researchers also discovered ‘phantom lakes’: shallow ponds that evaporated or drained into the ground during Titan’s transition from winter to spring (which lasts seven Earth-years). 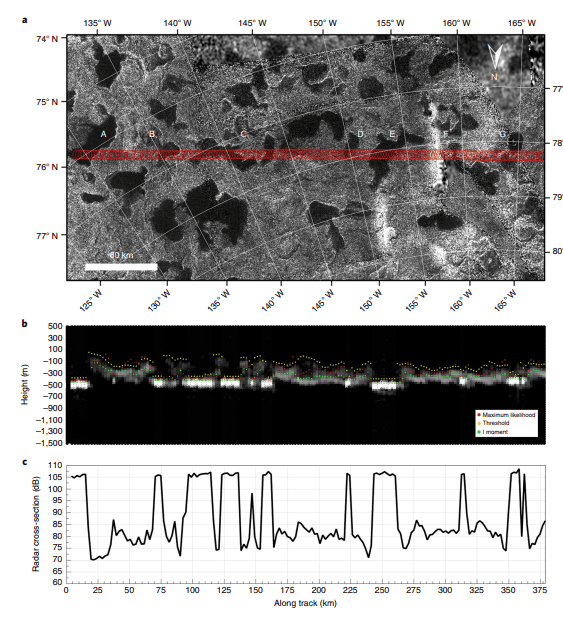 Researchers also note that some of Titan’s lakes are at higher altitudes. “The measurements here show that these lakes, like others in the northern polar region distal from the larger seas, have liquid surface heights hundreds of metres above the sea level. Thus, they are ‘perched’ and likely fed by local rainfall,” one paper reads. Both these studies point to Titan’s very dynamic liquid cycle. Much like Earth’s water cycle, Titan’s hydrological system features both seasonal and epochal variations. Researchers also leave a tantalizing mention about these lakes’ potential habitability. As of yet, we can only speculate about that. 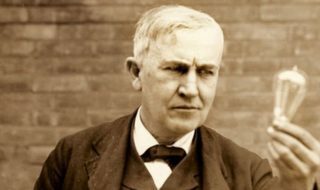 MacKenzie et al. “The case for seasonal surface changes at Titan’s lake district,” Nature Astronomy.